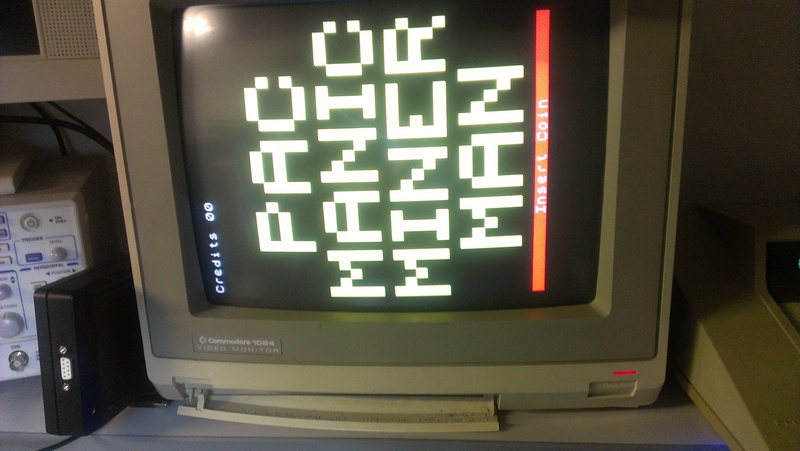 Quite a few weeks ago I took part in a charity event which saw me win a personalised copy of Pac Manic Miner Man written by Jim Bagley and runs on original Pac-Man hardware. 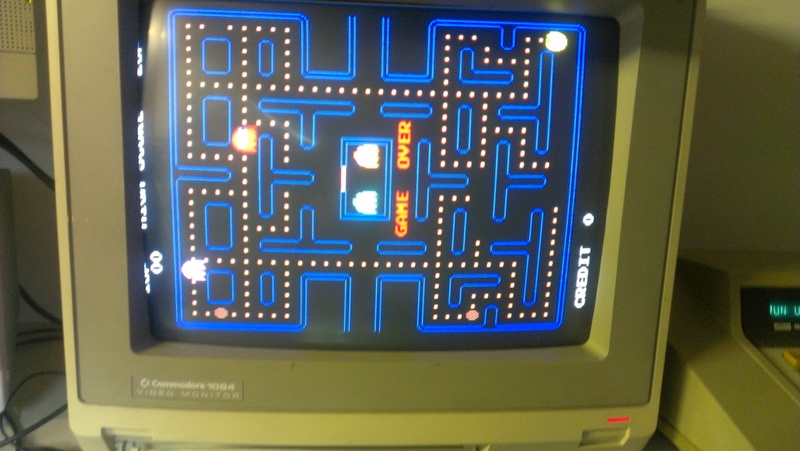 My good friend Equites from the J+ forums hooked me up with an original Pac-Man board and after making up a jamma adapter it was clear some repairs were needed. The board has 2 daughter boards for the custom chips, one of them being a 3rd party one. The boards watchdog was also “barking” so I check the 4 program ROMs, all of which were recognised by MAME. This was the ideal time to hook up the Fluke 9010 and see what was going on. First off it showed me that the RESET line was active so I told the Fluke to ignore it. I carried out BUS and ROM checks. All of which returned OK. I tried to carry out RAM tests and DIP switch tests but I couldnt read anything back other that “F7”. Something was wrong at address line 14 and it pointed towards the 3rd party sync bus PCB. Equites confirmed that the previous owner of the board had this module plugged in backwards so that confirmed my suspicions. 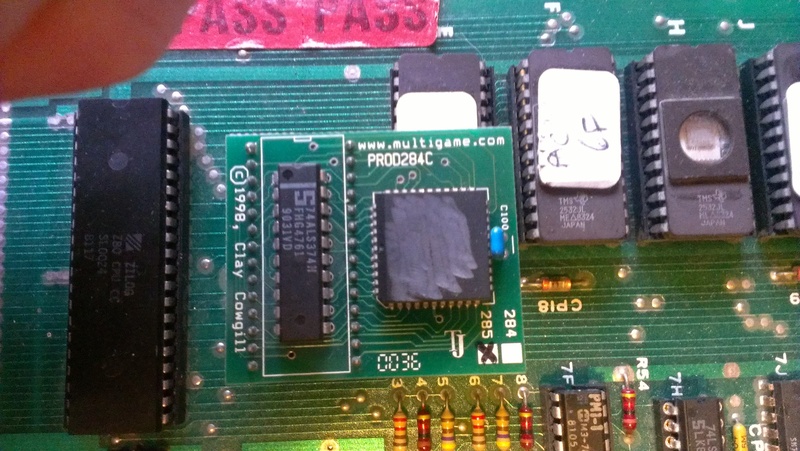 Andyman from the J+ forum also showed me a picture of what his look like without the Sync Bus PCB attached and it was identical. I spent quite a bit of time wondering the best way to tackle this. I could buy another 3rd party module, or, as the schematics for a TTL version are available I could build my own. My saviour came in the form of the fantastic reprogrammable device from FPGAARCADE.COM. I have a spare here that is currently programmed with the Commodore 64 PLA replacement but I do have the tools required to reprogram it. What I didnt have was the code to program it with. A quick email to Mike, the owner of FPGAARCADE and he sent me the file required. 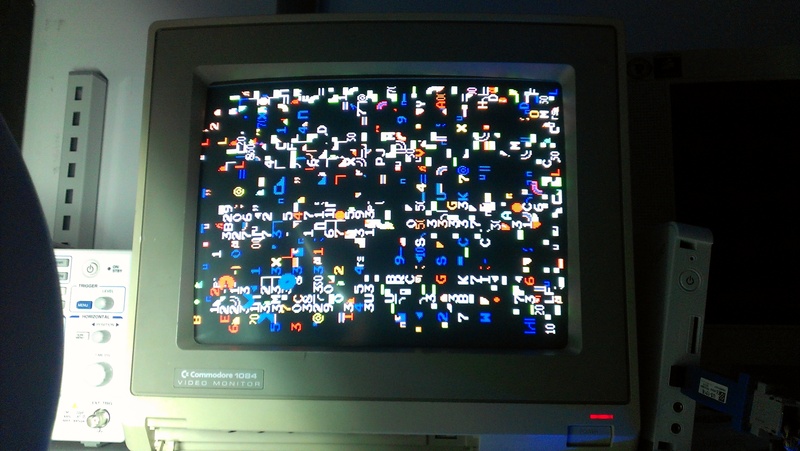 Once I had the chip reprogrammed (took ages as my current programmer didnt want to bother working) I fitted the device and…. 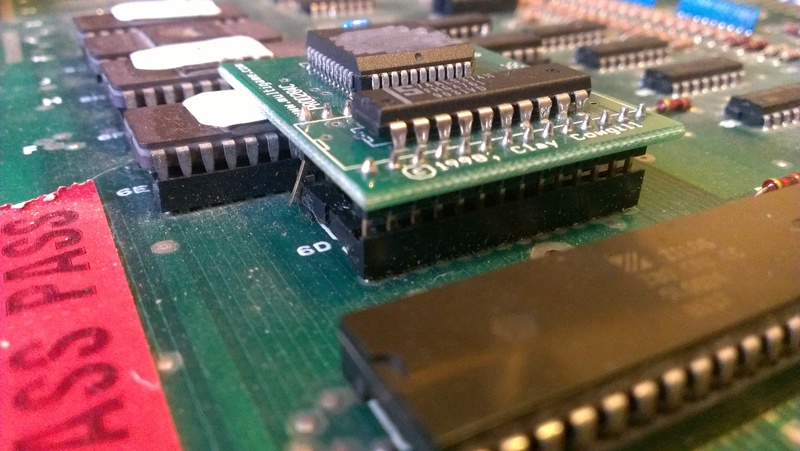 As all the RAM chips are socketed I pulled them and tested them. The 2114 RAM at position 4R can back as failed. I have some spares of these so fitted a new one and fired the board up again. 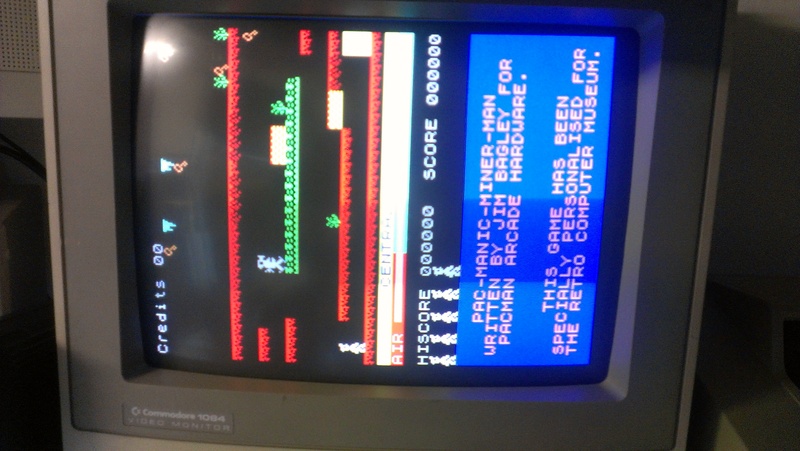 This game will sometimes be running Jim Bagleys Pac Manic Miner Man so now was an ideal time to try the ROMs out on the actual hardware. Very happy to get this running. 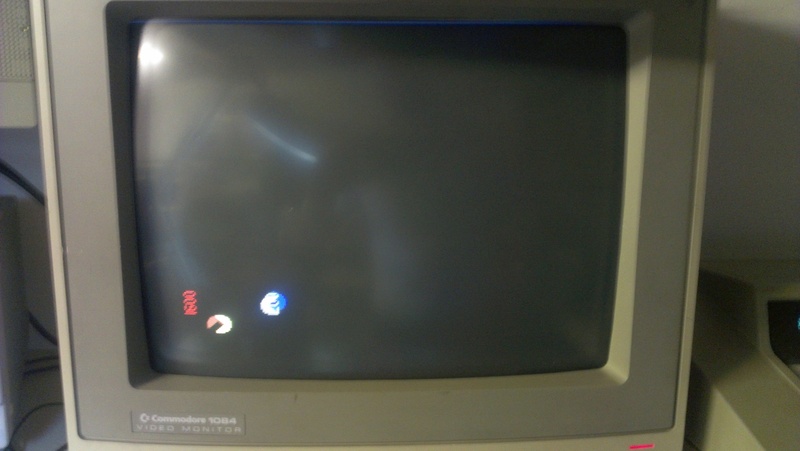 Hey man, you got contact with the Elit3 Hax0rs of arcade repairmens ! Awesome, I’m real chuffed you got this working – fantastic work.